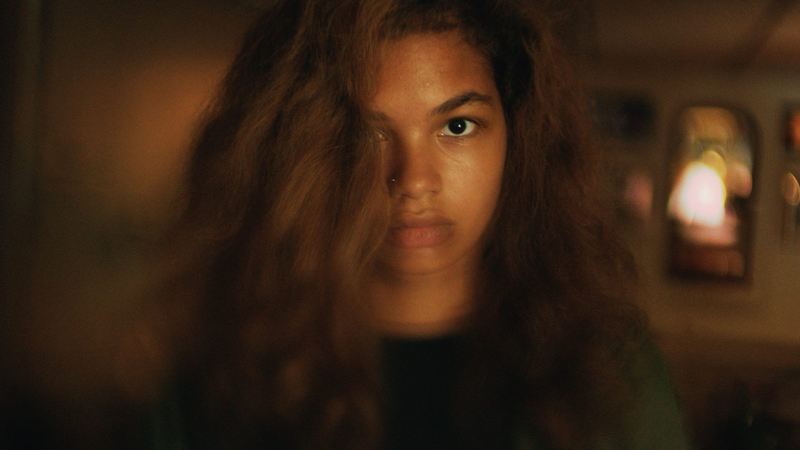 Acclaimed independent filmmaker Josephine Decker (Butter on the Latch, Thou Wast Mild and Lovely) returns to the Berlinale with Madeline’s Madeline, a visionary study of the analogy between creativity and insanity. Acting require pulling oneself inside-out psychologically and blurring the lines between personal and imagined experiences. It’s something Madeline (Helena Howard), the young biracial lead of Decker’s latest opus, knows all about. She’s part of an experimental theatre troupe in New York meaning sometimes she’s a cat, rubbing herself up against her mother (Miranda July), or lying on her belly, flapping her limbs like a sea turtle. To be honest, sometimes it’s hard to know when Madeline is being Madeline, especially since the medication she received from the psychiatric clinic ran out. But there’s one thing that’s certain about Madeline – she’s talented. So talented, in fact, that Evangeline (Molly Parker), the troop’s director, has chosen Madeline as her muse, basing her next production on the fractured relationship this troubled thesp has with her mother. Decker has once again proved that she’s one of the most fascinating directors working in America. Combining the disturbing sensory delirium of her debut Butter on the Latch with the lyrical and wistful sensuality of Thou Wast Mild and Lovely, Madeline’s Madeline feels like a huge leap forward. However, it’s Howard who shines brightest. An electrifying ball of energy, she embodies Madeline’s fluctuating sense of self, with the camera highly attuned to her every emotion, be they real or imagined. The first rule of improv is to agree to everything. Therefore, it comes as no surprise that the dynamic between Madeline and Evangeline breaks down when Madeline refuses to star in their production. But even here, when it feels like her dream is slipping away from her, there’s a dramatic transformation in Madeline: a shedding of a skin that sees the film’s experimental and deeply sensual approach escalates rapidly, challenging the audience to keep pace as the film hurtles towards its hallucinogenic curtain closer.